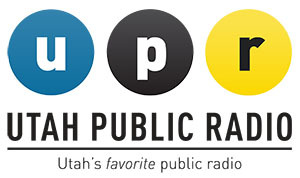 Joshua Steimle, MWI’s CEO, will be featured on the radio program Access Utah, a production of Utah Public Radio, on Wednesday, May 28th at 9:00 am MST. Steimle will be participating in a discussion with host Tom Williams and another featured guest Jon Choate, a technology expert based in Utah. The topic will focus on net neutrality, an idea that has featured prominently in the news lately. As a principle, net neutrality promotes the equal treatment of all Internet traffic. Opponents of net neutrality tend to be large telecoms like Comcast and Time Warner, which want to charge additional fees to companies that use a lot of bandwidth, such as streaming video provider Netflix, in order to prioritize their traffic rather than throttling it. Proponents of net neutrality claim such preferential treatment would create an “Internet slow lane” for all other users, which would ultimately result in a stifling effect on innovation, since startups would not have the funds required to pay for preferential speeds for their applications. Steimle was invited to participate as a result of his recent article in Forbes Am I The Only Techie Against Net Neutrality? Steimle argues that while he is no friend of the telecoms and is ambivalent about net neutrality as a principle, he is opposed to Net Neutrality legislation, which could endanger the openness of the Internet and personal privacy by inviting government intrusion. Steimle also recently spoke on the TV program DemocracyNow regarding Net Neutrality legislation.